The Japanese Cultural Center of Hawaii is a member of TAG Team (Totally Against Graffiti), and will be participating in a graffiti cleanup day on Saturday, September 26 from 8am to 12pm starting at Prince Kuhio School. Inquiries can be directed to Jenny at volunteer@jcch.com or to Marilyn, whose information can be found on the below flyer. 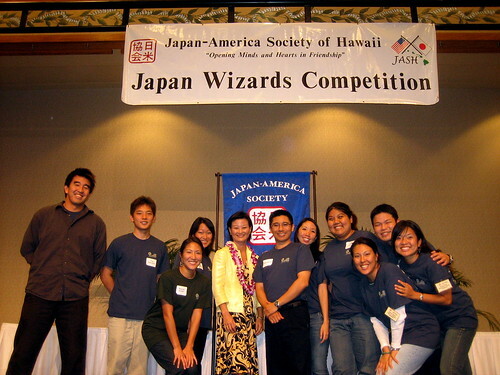 Japan-America Society of Hawaii (JASH) is looking for volunteers to assist with this statewide academic team competition for high school students that tests general knowledge about Japan and the Japanese language. The JWC will be held on February 20, 2010 at Kapiolani Community College, 8:00 am – 3:00 pm. Please contact Kelsey at ksoma@jashawaii.org for details. JASH has been busy working on its upcoming events and is looking for skillful volunteers to help with various tasks around the office. Example duties for regular volunteers include answering phones, copying documents, picking up donations, and making deposits. One-shot volunteers would be very much appreciated for tasks such as stuffing envelopes and wrapping items. Please contact Kori-Jo at kjkochi@jashawaii.org for details.